Mexico needs to turn its attention towards making sure it experiences prolonged progress in order to compete with developing tourism markets, the World Travel and Tourism Council (WTTC) has said. As emerging markets undertake massive tourism-related investment programmes causing them to grow at a rapid pace, Louise Oram, communications and PR manager at the WTTC, said: "Mexico must focus on its long-term development in order to keep up with the competition of these new tourism destinations." And she also stated how important it was for Mexico to continue to compete in the industry because of how much it depends on travel and tourism. She went on to say that in 2008, travel and tourism is expected to contribute to 14 per cent of its national GDP and Mexico has the tenth largest travel and tourism economy in the world. Oxford Analytica, the international, independent consulting firm, published an article called 'Mexico: US downturn exacerbates tourism challenges' earlier this month. 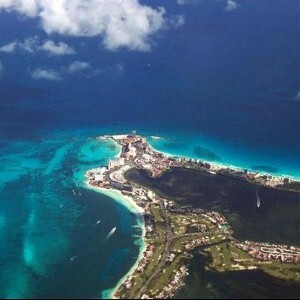 The article found that Mexico relies heavily on tourism for employment, foreign direct investment and economic growth.